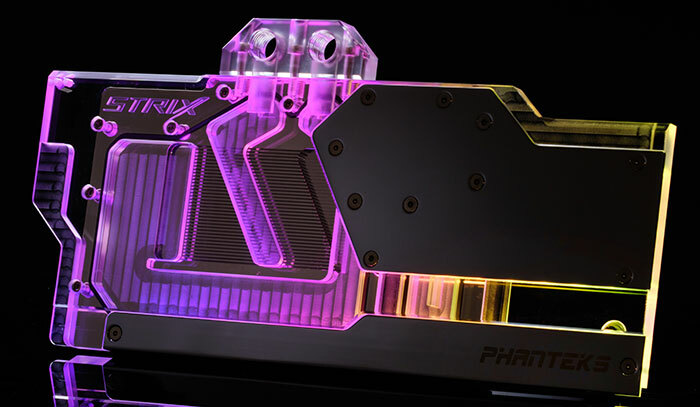 Dutch PC chassis, PSU and cooling specialist Phanteks has launched a pair of new Glacier water blocks for the Nvidia GeForce RTX 2080/Ti series of graphics cards. Specifically, the new Phanteks Glacier G2080Ti Xtreme is designed to provide water block cooling for the Gigabyte RTX 2080/2080Ti Aorus Xtreme graphics cards, and the Glacier G2080Ti Strix is custom designed to fit Asus RTX 2080/2080Ti Strix cards. 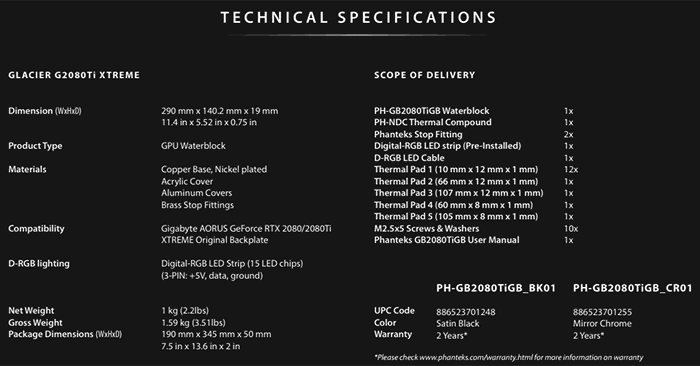 Whichever model of water block that you choose, Phanteks says you will receive a minimalistic designed product which "covers the entire PCB length and comes with an integrated digital RGB lighting solution". Users will benefit from complete coverage of GPU, RAM and VRM sections - all covered by Phanteks' redesigned copper cold plate and optimised high-flow liquid routing design. 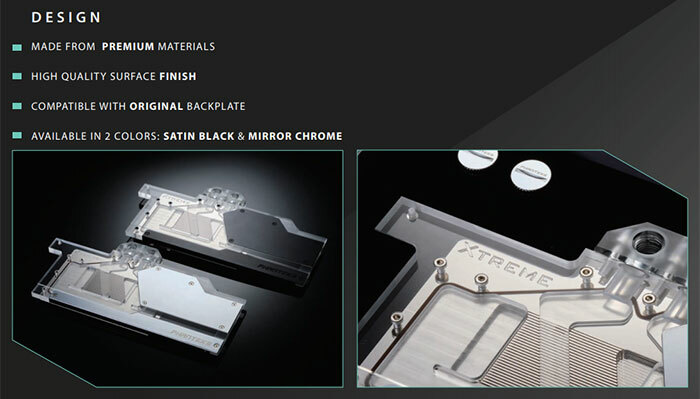 The pair of Glacier RTX 2080/Ti water blocks come with anodised or chrome plated aluminium cover plates (AKA Satin Black or Mirror Chrome), polished acrylic surfaces, as well as a nickel plated copper base. 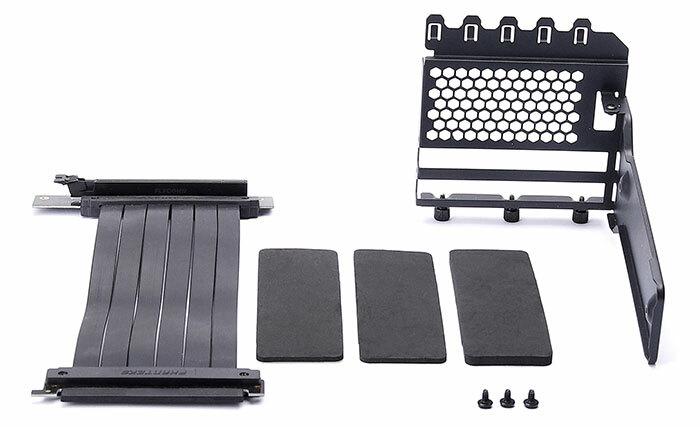 Overall, buyers will have a good looking water block that helps ensure optimal GPU performance and cooling for great stability under the highest workloads. A couple of minor related products have been launched by Phanteks alongside these water blocks. They are compatible with the original supplied backplates but Phanteks can offer you a matching black (£25.99) or chrome (£33.99) finished backplate should your heart desire. The Glacier RTX 2080Ti Extreme and Strix water blocks will be available for £132.99 from the end of January. Phanteks previously launched similar Glacier series water blocks for the Nvidia GeForce RTX 2080/Ti Founders Edition designs. For some PC builds, fitting a graphics card in the vertical orientation is appealing and Phanteks will have a new vertical GPU bracket and choice of riser cables available from the end of the month. Phanteks is pricing the Vertical GPU Bracket with Flat Line 220mm Riser cable at £33.90. However, if you want just the Phanteks Flat Line 220mm Riser Cable on its own, that will set you back £25.90. A longer Phanteks Flat Line 300mm Riser Cable will be available too, priced at the same £25.90.